Over 15x faster than a typical hard drive : Get more done in less time - or just have more fun. The Crucial BX100 SSD is over 15 times faster than a typical hard drive and delivers true 535 MB/s sequential reads on both compressible and incompressible data. 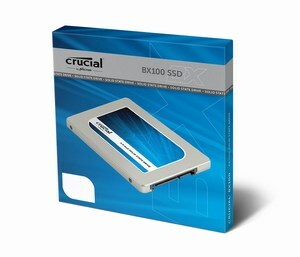 By treating all data the same, the Crucial BX100 allows you to do everything quickly, regardless of whether you're saving an image, accessing a ZIP file, or loading a video;Over 2x more reliable than a typical hard drive : Protect your data by storing it on the Crucial BX100, which is significantly more reliable than a typical hard drive. In the computer industry, storage drive reliability is measured in mean times between failures (MTBF). Most hard drives have MTBF ratings of 0.6 million hours, whereas the Crucial BX100 has a reliability rating of 1.5 million hours. 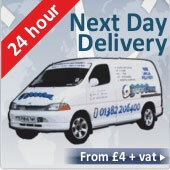 In practical terms, the more reliable your drive is, the less likely it is to crash. Better value than a typical SSD : Get more out of your system - without compromising quality. At speeds up to 535 MB/s, the Crucial BX100 SSD isn't the fastest drive on the market, but that's squarely our intent. We painstakingly engineered the Crucial BX100 to provide a massive performance boost, while also delivering an unrivaled value among SSDs. Make the switch to the Crucial BX100 and get everything you expect from a Crucial SSD at an unexpected value;Includes 7mm-9.5mm Spacer/Adapter.